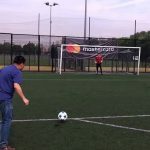 After a thrilling three month battle for the top spot, AccorHotels in association with Mastercard ® crowned KOPLAK UNITED FC champions of The Ultimate Rivals competition! 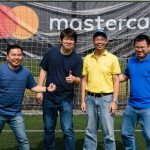 Teammates Andy, Dwi, Rodi and Sugiarto – with a final score of 71,003 points – rose above every other team across Asia Pacific to win the ultimate prize in football: an all-expenses paid journey to the 2017 UEFA Champions League Final in Cardiff. 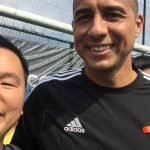 Beginning with a welcome reception in London, the team enjoyed a private tour of the city including a Priceless Surprise ® meeting with former Juventus striker David Trezeguet, a stay at the luxurious The Savoy Hotel, and dinner at famous city restaurants. 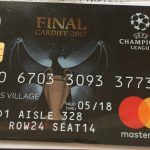 It was then off to Cardiff in Wales, for the Priceless Experience ® watching the finals of the 2017 UEFA Champions League, with Juventus F.C. 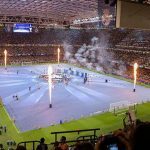 vs Real Madrid C.F, capping off a weekend our winning team won’t forget anytime soon! Their full itinerary and more photos are below.